When young priest Nicolas Chatry took his vows, he thought the hardest thing he’d have to deal with was accomplishing his duties from a wheelchair. Until a murderer steps into the confessional. Unable to recognize the voice or maneuver quickly enough to get a look at the killer, Nicolas has no way of identifying who admitted to such a horrific deed. And even if he did, his vows prevent him from telling anyone about it. 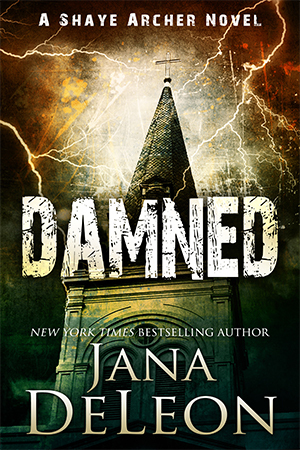 Unable to live with the knowledge that a predator is walking the streets of New Orleans, Nicolas breaks his vows and hires Shaye to do the impossible—find the killer before he strikes again.